Robert Mueller testifying before a Senate committee in 2011. 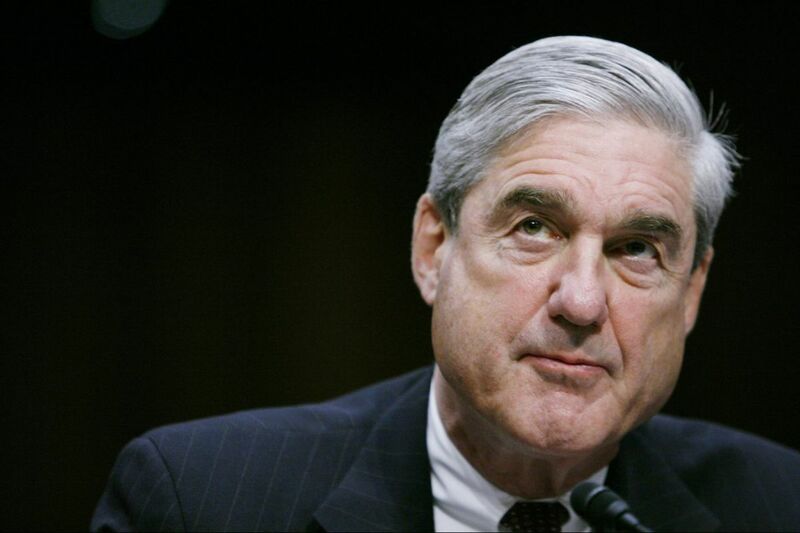 The formation of a grand jury by special counsel Robert S. Mueller III has drawn attention to a part of the criminal investigation process that is usually conducted out of the spotlight. Mueller empaneled a grand jury in early August to investigate possible efforts by Russia to influence the 2016 presidential election and possible connections to the Trump campaign. When I was a prosecutor assigned to conduct large-scale public corruption investigations, use of a statewide grand jury was an essential tool that made it possible to do my job. The formation of a grand jury and the use of its powers demonstrate that Mueller is doing his job to pursue a criminal investigation, but it may indicate nothing more at this point. It's a fairly routine process in extraordinary circumstances. Citizens from the community become grand jury members. They are selected from voter registration and drivers' license data. A federal grand jury often has 23 members, and 16 must be present to hear testimony, deliberate, or vote. Twelve must vote in favor of a formal criminal charge (an "indictment"). Grand juries are located within a judicial district where the criminal conduct is likely to have occurred. Mueller's use of a grand jury in Washington, indicates there is evidence of potential criminal conduct within that district. There are two kinds of grand juries. A common "sitting grand jury" meets regularly to hear a variety of cases within a judicial district. "Specially appointed grand juries" are dedicated to a particular investigation. Because of rules for secrecy, it is unknown which kind of grand jury Mueller is using. News outlets report that he may be using a sitting grand jury previously empaneled in the District of Columbia. Grand juries are not open to the public. Jurors, prosecutors, witnesses, and staff are prohibited from disclosing matters occurring before the grand jury. Accordingly, Mueller and others cannot identify witnesses or reveal the nature of actions taken. Media reports about these issues should be viewed skeptically. Whenever I made use of a grand jury as a prosecutor, I was mindful of its far-reaching powers and my role in exercising those powers. A grand jury gives prosecutors authority to subpoena witnesses and take testimony under oath, issue search warrants and subpoenas for evidence, and compel testimony of witnesses. Many investigations involving government officials or organized crime could not be effectively pursued without the powers and secrecy of this process. The government prosecutor has the role of leading the grand jury process and questioning the witnesses. Jurors consider the evidence and vote on the outcomes. Judges are not a regular part of the process. Attorneys representing witnesses or people under investigation are not permitted to observe or interject during the proceedings. Testimony cannot be challenged by defense lawyers and is often not subjected to the same level of proof used during a trial in court. In 1985, Chief Judge Sol Watchler famously told the New York Daily News that "district attorneys now have so much influence on grand juries that 'by and large' they could get them to 'indict a ham sandwich.' "
One reason indictments are easily secured is that the standard of proof is low. If grand jurors agree that probable cause exists to establish that an individual committed a crime, an indictment can be issued. According to the handbook used for federal grand juries, "a finding of probable cause is proper … when the evidence presented to the grand jury, without any explanation being offered by the accused, persuades 12 or more grand jurors that a federal crime has probably been committed by the person accused." In limited circumstances, a special grand jury may issue a grand jury report. A report may address wrongdoing by a public official even if it does not lead to a criminal trial. It is not known whether Mueller has empaneled a special grand jury and there's even more doubt as to whether the case falls under the limited reporting categories contemplated by federal statute. Media reports indicate Mueller is asking the grand jury to subpoena witnesses and evidence, issue search warrants, and take testimony. This is a normal part of the process and should not be interpreted to mean criminal indictments are or are not likely to happen. The secrecy of the grand jury process will keep everyone guessing. If the process concludes with a recommendation for criminal indictment against one or more individuals, this will only be the start of a much longer prosecution in federal court.